This month, I have news, but most of it is about things that cannot yet be shown. Frustrating, but there are worse problems to have. Most frustrating of all is waiting for royalties and sales figures to tick in. They should be imminent, but if you aren’t in the publishing industry, you might be surprised to learn that I have no idea quite when they will arrive. It’s a strange business to be in, especially when I’ve worked in technology companies for so long. There, figures are always just a few clicks away – here, the knowledge takes months to arrive, and is out of date even then! Still, I shouldn’t complain – these funds, when they do arrive, may let me focus more on writing and less on my day job. I’ll be off on another school visit shortly, doing world building workshops for World Book Day. 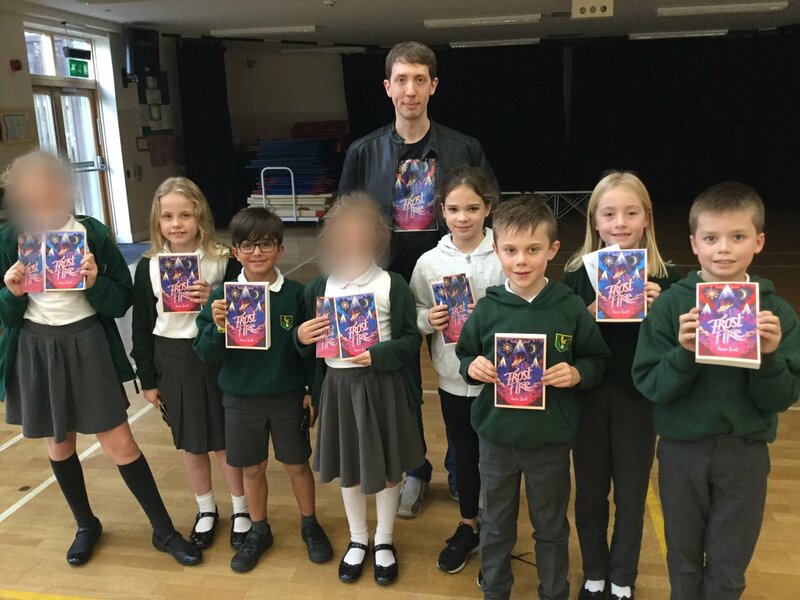 If you work at a school and would like to book me for an event, please click here for details. I’m quite flexible, and even if you’re not certain your needs match what I do, do contact me – we may be able to work something out. In other news, I’ve seen the cover of the German version of Frostfire, which is penciled in for release at the end of the year. Can’t show it just yet, but it’s another good one, in yet another style! I think I’ve been very lucky with covers, in that I like all of them so far, for different reasons. Work continues on the sequels to Frostfire, with the third book drafted to the half way point, and the second book already gone through a redraft. Can’t announce anything firm on these yet, but perhaps in a few months! Lastly, I don’t believe I’ve mentioned her before, but the audiobook version of Frostfire is on the way too, which I’m really looking forward to. I listen to a lot of my books, so having this will be quite a treat! First update of the year, and there’s actually a decent amount of news! Not sure if that will be true every month, so some of these posts may end up more focused on writing tips or similar – we’ll see. For now though, I can confirm that US publication of Frostfire is set for October, the excellent new cover for which by Geneva Bowers is at the top of this post. That leads nicely on to the sequel I’ve been working on, Embershard. No official news yet, but the first draft is done and my next pass should be done soon. I’ll be giving Sandtide an edit pass soon after, most likely, and we’ll see how well liked they are! More news soon, with luck. Lastly, I’ve written a short story for this competition. I don’t expect to come close to winning in a field of one thousand, but I was interested in the challenge. It’s something a bit different than I’ve done before, as I’ve focused on novel length work previously. When the competition is over near the end of the year I may share it online, we’ll see. Certainly I’ll say a few more words about it at some point. So, on to the next thing, with hopefully as much news again next month! It’s finally that time! After more than three years of writing, editing and generally fretting about getting the book ready, Frostfire is actually going out into the world. Official release day is the 1st of November, but a trickle of people have already got their hands on it through whatever nefarious means they prefer. Hopefully it’s going down well, and will continue to do so! In other news the launch party for the book is going to be on Friday November 2nd at Waterstones Stafford. Stop in if you’re in the neighbourhood – I’ll be signing books, talking about them a little and generally being present. There will be wine and cakes if that swings your decision! Finally, as the banner at the top suggests, I’m going to be doing some streaming on Twitch this coming month. Starting Thursday 1st and continuing Monday 5th, Friday 9th and on the following Mondays and Fridays I will be writing live on the internet over on twitch.tv/World_Smith. Expect a fresh fantasy story, possibly partially directed by you the viewers (depending on who shows up). 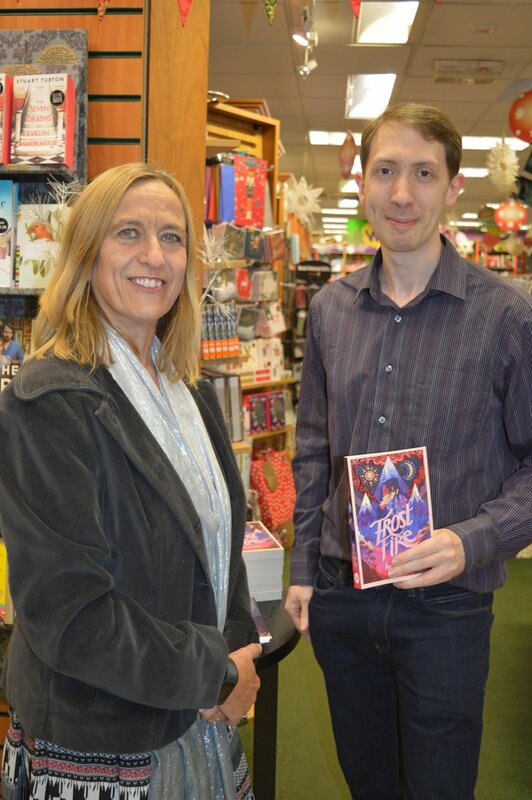 There will definitely be signed book giveaways each week, and guest authors joining in too. Questions and answers from chat probable! Last blog post until Frostfire’s November 1st release! Time flies, and hopefully the books will too. Unless of course you prefer the eBook version, which is now available to pre-order here. 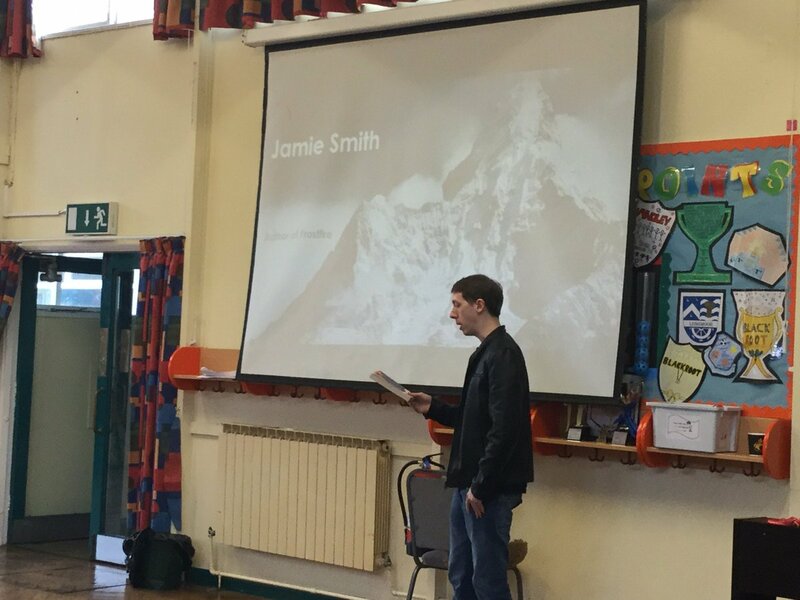 Of course, I get to be a proper author even sooner than that – in a matter of weeks I’ll be doing my first school event at my old primary, which ought to be somewhere between strange and fun. There should be plenty more events to come, and maybe one or two interesting surprises I can share soon, if plans work out. 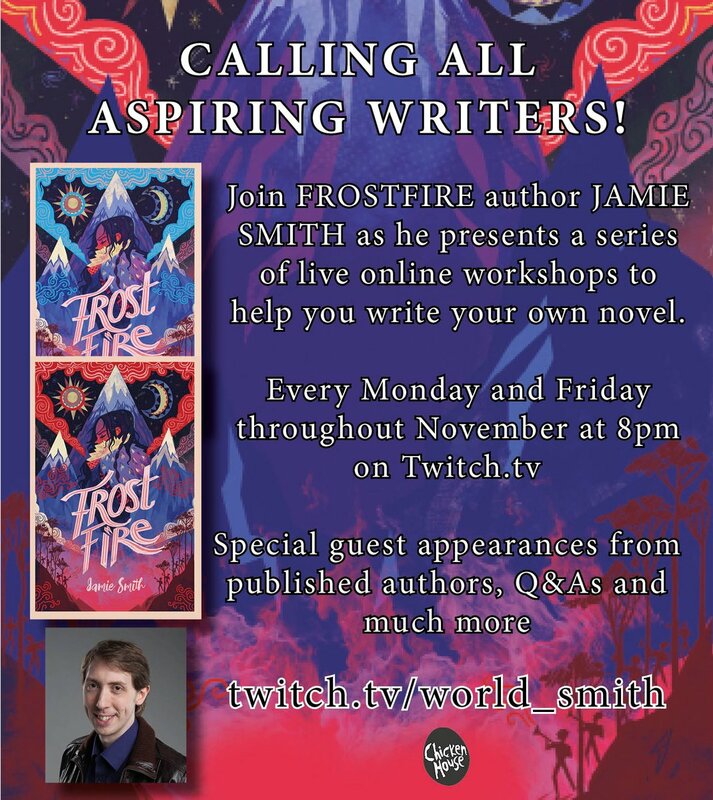 Before I get deep into the publicity process though, I thought I’d write a little about how Frostfire came to be, all the way from when it was Frostsliver to its current polished form. I had the idea for Frostsliver a good year or so before I began writing it. The concept of an living icy companion was suggested to me by my partner during a brainstorming session for books in the Infinite Sea universe where all my fantasy stories so far are set. From there I developed the sentient glacier that gave the ice its power, the bonding system and the culture that my protagonist, Sabira came from – but only after I was told of the Chicken House Competition by my Mum. 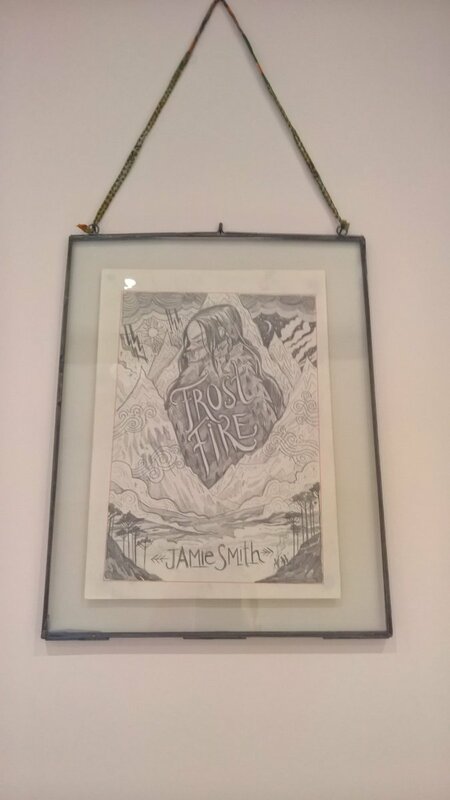 Previously I’d come runner up with Scaled in a competition for Bloomsbury, so I jumped at the chance to try again. In the six months had before the entry date I went through three draft versions (eventually to become more like ten after a proper editor got hold of it). Though I was pipped at the post by Nicki Thornton’s Last Chance Hotel – out now and already doing well – Chicken House chose to take a chance on me as well. There was a lot of work to be done, trimming nearly half the words out and adding plenty more, but with essential assistance from my editor, Kesia, as well as other Chicken House team members, we’ve got to the final printed version. No more changes allowed! Only a month left until you all can find out whether you like the finished result as much as I do! Coming November 1st 2018, published by Chicken House Books Frostfire is the re-titled form of Frostsliver – and just look at that fantastic cover by Karl James Mountford! In other, much more minor news, the year’s writing plan is going… acceptably. I’ve edited Plaguewalkers to submission standard, and am close to completing the draft of Shelter in Shadow (probably the subject of my next blog post). Drafts of the next Folded Land book and Sandtide are both in progress, and may well be done by the end of the year. All in all, I’d say that’s not far off where I wanted to be at this point – and with Frostfire looming ever closer, the news should only get better from here! Editing is not usually the most fun part of a writer’s time. The further from the initial spark of ideas, the more it feels like work. Fortunately, one more round of editing, one I’ve been working on for a couple of months, is now complete. As with the previous round, it’s made Frostsliver a much better book – tighter, and with more emotional focus. So, celebration time. One more draft down, a few more to go until the book is ready for publication next year. It’s a long process, but well worthwhile in the end. Hopefully as the time gets closer, there ought to be more to share here – events, cover art and the like. In the meantime, I’ve got a few new drafts I’m working on in spare moments – two sequels and some new stuff I’ll share details about in another post at some point.